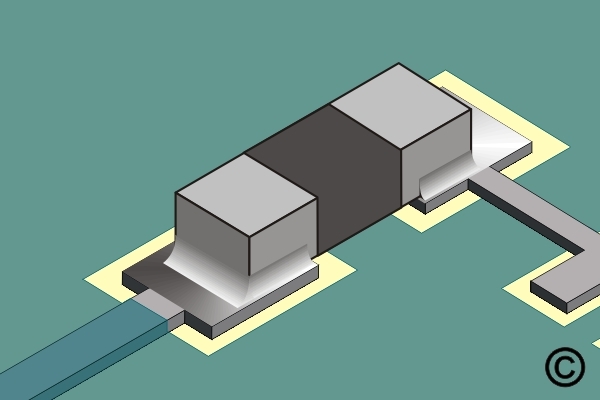 This procedure covers one commonly used method for removing surface mount chip components. Place the tweezer tips in position. When the solder melts, lift the component off the circuit board. The goal when removing any component is to remove the component as quickly as possible. A small dot of epoxy is often used to hold chip components in position during wave soldering processing. Typically these components will be located on the bottom side of a circuit board that has through hole components located on the other side. Whenever you see a board like this, you can generally assume that the chip components will be glued onto the board. You'll need to leave the tip on the component for one or two additional seconds in order to transfer enough heat to over-cure or soften the adhesive. If required take a wooden stick or curved tweezers and push the component sideways until the glue joint finally gives way. 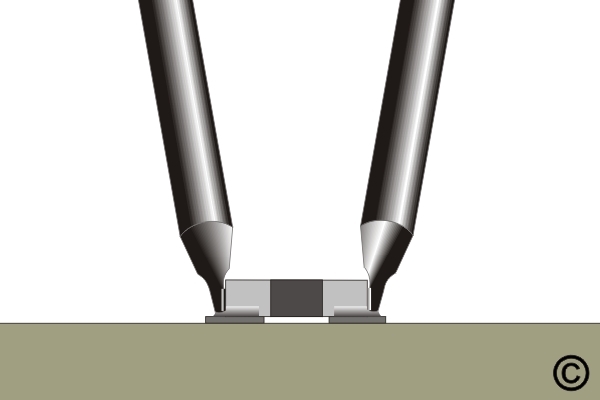 Figure 1: Place the tweezer tips in position. When the solder melts, lift the component off the circuit board. Chip Capacitors generally have solid color bodies. A - Stripe;B - Beveled Surface;The striped or beveled end is the "positive" (+) or "anode end". Tin the hot tweezer tip. Apply a small amount of liquid flux to both ends of the component.